Short stuff seedbank are now able to offer the best value range of automatic flowering cannabis strains on the internet. we have snowryder, short stuff #1, auto himalaya blue, russian rocket fuel and auto himalayan blue diesel all at prices much lower than the other seedbanks producing automatic cannabis strains. Automatic strains of cannabis seeds pass from the vegging stage to the flowering stage without the need for a change in the number of hours of light. 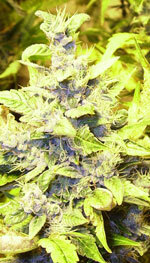 They flower (bud) based on age and will begin to flower after approx 3 weeks regardless of hours of light.